Can Urban Design Really Change Society? 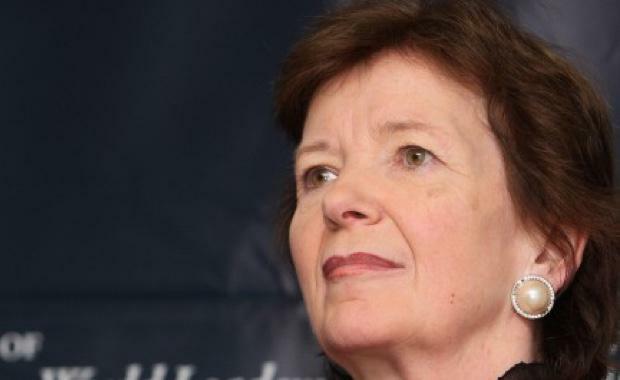 One of the world’s most inspiring leaders, the former President of Ireland and former UN High Commissioner for Human Rights, Mary Robinson, has highlighted the role urban design and cities play in changing and improving people's lives. A forceful human rights advocate, Mrs Robinson spoke recently at a City of Sydney CityTalks event. Mrs Robinson’s work on ending extreme poverty, fighting inequality and injustice, and addressing climate change has seen her awarded the US Presidential Medal of Freedom by Barack Obama. She is also one of the late Nelson Mandela’s original eight appointed Elders – an independent group of global leaders working for people and human rights. Her address comes as the City of Sydney develops a Social Sustainability Policy aimed at creating a more socially-just and sustainable city where everyone has equitable access to social services and facilities. Mrs Robinson told an audience of more than 1,500 at the State Theatre that the city’s urban strategy “provides an opportunity to tackle inequality while achieving sustainability”. “The city is a leader on the pathway to a 1.5 degrees Celsius world,” added Robinson, referring to the agreement inked by global leaders at the UN climate summit in Paris last December, which aims to limit global temperature rise to well below 2 deg C, and ideally under 1.5 deg C.
Mrs Robinson said it is important to address inequality and focus on social inclusion to build communities and cities. “The city is possibly the most complex system we interact with, composed of political, social, and cultural systems,” Mrs Robinson said. “This complexity has distanced us from knowing our city, our place, from that essential part of the environment we live in. “Cities have been, and will continue to be, the engines of economic growth but we must ensure that economic considerations do not over-ride environmental and social concerns as they have in the past. “We need to address challenges presented by Sydney’s population growth, urban renewal and environmental change,” Sydney's Lord Mayor Clover Moore said. “Our footpaths, parks, schools and hospitals will all become more crowded in future years, and we’re already seeing issues with cost of living, the cost of housing and not enough affordable housing for our residents. “We’re seeing more families and children living in our city, and by 2030 more than 90 per cent of our residents will be living in apartments, where many people suffer from isolation and don’t even know their neighbours. “Social sustainability is about improving the quality of life our city offers for future and current generations, so our community thrives no matter what challenges we face.